Some more nonsense oozing from my head... it's getting to the stage where I wish I hadn't decided to pick 20, partly because they might be getting a bit boring ... or worse... self-indulgent. 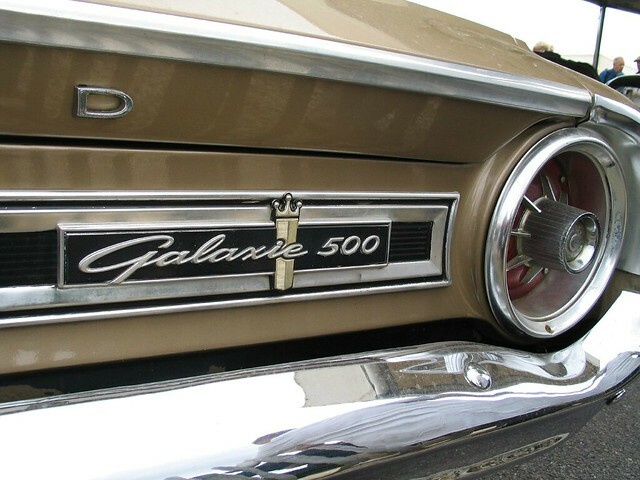 From the earliest days of the web site and the list there were rumours about a Galaxie 500 reissue as the albums had been out of print since Rough Trade's collapse. Around '95 there was a lot of talk about Sub Pop putting them out but eventually Rykodisc released them. Andrea Troolin, who managed the box set release had got in touch with me, it was probably the first time that I realised that the web site was recognised as more than just being something that kept me and a few fans out of trouble. 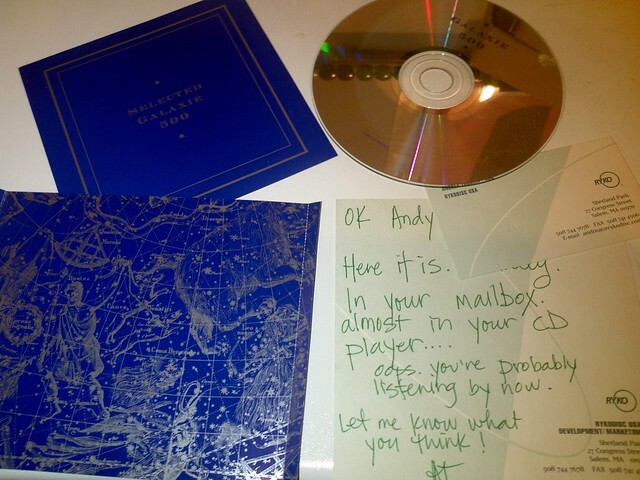 Andrea sent me a few emails, most long since lost in the Yahoo->Gmail move, I remember one was discussing the tracklisting of a promo CD for the box-set. She also sent me the first freebies that AHFoW had managed to provide - a copy of the previously discussed promo, and a ride the fiery breeze poster signed by all three members. Another sadly lost email was the one I received from an angry man called "Dallas", he was a very, very angry man. What made Dallas angry was that anyone could have the cheek to name their band after such a classic car. This was apparently a disgrace and I, should be utterly ashamed of having a website that celebrated this atrocity. 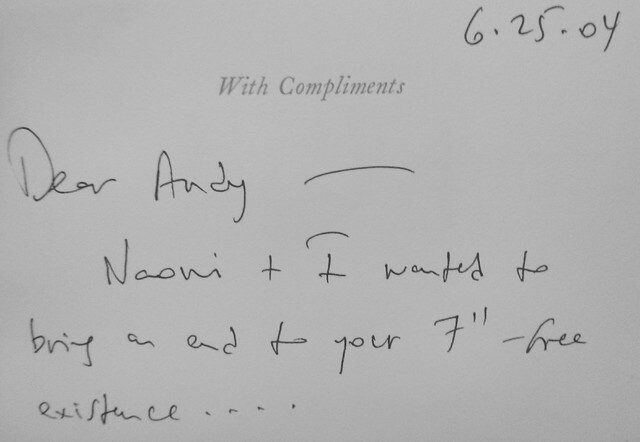 I wrote back suggesting that most names were not particularly inspired with originality, his own for instance. I never heard any more. I think that I'm very lucky that the band I fell in love with are all such lovely people (and most of the people I've encountered because of them have also turned out to be lovely). 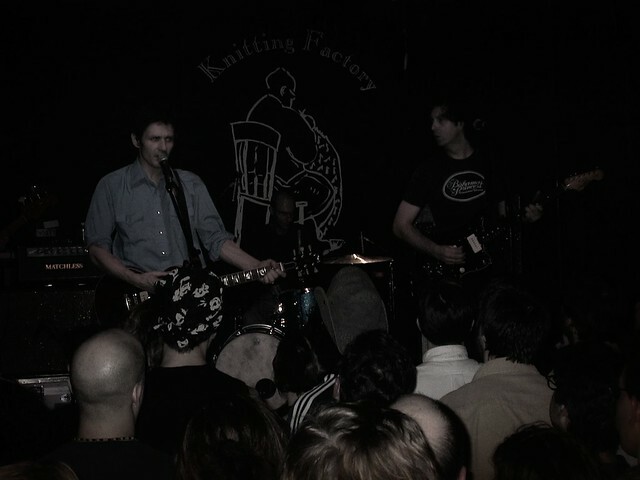 In 2001 I convinced Hazel that we should spend a few days in NYC, the fact that it happened to be a weekend where Luna where playing two nights at The Knitting Factory might not have been a coincidence. We stayed with long-time (and oldest) list member Bob, who I'd first met in Boston a few years before, and again in London where we went on a road trip to see Damon & Naomi in Brighton. Another good friend that the Internet and Galaxie 500 had made for me. We had a great weekend, two Luna gigs, lots of walking around, eating, and then being stuck on the snow-covered tarmac of JFK airport for a few hours. There's another story from that trip that I've trotted out before. Over the years I had half-heartedly tried to organise get-togethers at gigs, it would often end up as just me and one or two other folk - mostly because I'm not actually that good at organising anything (there'll probably be more on that in part 4). 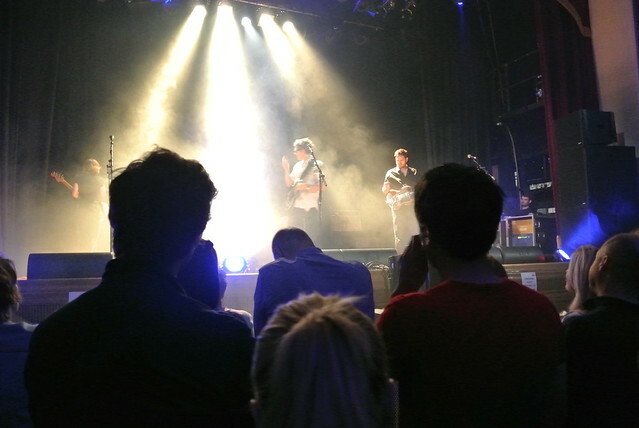 For Luna's last London show it peaked at four or maybe even five of us. This year we had a rather lovely get-together in a cafe before Dean's gig at the Islington Assembly Hall. It was lovely meeting folk in a nice relaxed atmosphere - and it was the beginning of one of the more memorable AHFoW evenings of the last 20 years. I did manage to not take a picture of us all. I regret that! But thanks to everyone who turned up. It was a pleasure. Actually, thanks to everyone I've met over the 20 years... you all know who you are.